Remember the colorful Huawei Ascend W2 we told you about recently? Well, the Windows Phone based device now boasts a TENAA certificate. In case you missed the title, that's the Chinese FCC equivalent, the body which handles the approval process for devices to be used on China's network. Headed for China Mobile, the largest carrier worldwide with some 700 million users, the Ascend W2 should soon find itself on the shelves. Powering the 4.3-inch WVGA (480x800), 9.9mm thick device is a dual-core 1.4GHz processor and just 512MB of RAM. 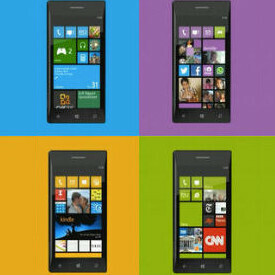 The internal memory is only 8GB, but at least you get to choose from a Lumia-esque range of colors. Why is this device relevant? Well, for starters, Huawei said its predecessor, the Ascend W1 sold in over a million in Europe and the US. With the rather conservative specs sheet, we expect the device to launch with an affordable, entry-level price tag. Whether the phone will ship outside of China is yet unclear.